The original middleweight co-main event between Anderson Silva and Israel Adesanya is now the UFC 234 headliner. Lando Vannata vs. Marcos Rosa has also been promoted from the UFC Fight Pass prelims to the co-main event. It’s a tough break for both Whittaker and Gastelum. “The Reaper” has yet to defend his UFC middleweight title. Yoel Romero missed weight, so the rematch didn’t count as a title defense for Whittaker. This is also the second time Whittaker hasn’t been able to defend his title in Australia. He was set to take on Luke Rockhold back in February 2018, but an injury derailed those plans as well. As for Gastelum, he earned his opportunity after going 3-1, 1 NC in his last five outings. His split decision victory over Jacare Souza sealed the deal. Now, he’ll have to wait a little longer for his championship opportunity. 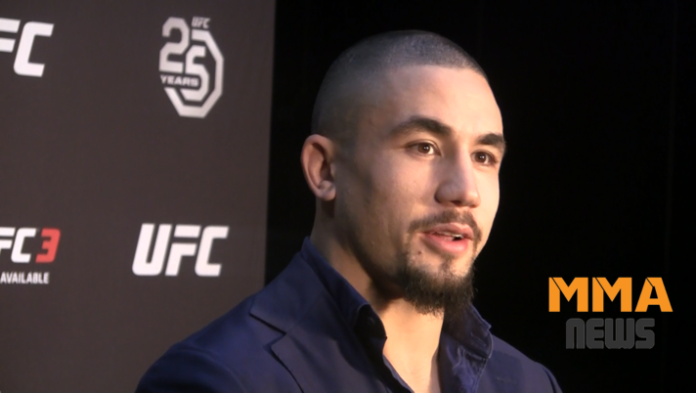 How badly do you think UFC 234 PPV sales will suffer now that Robert Whittaker is off the card?